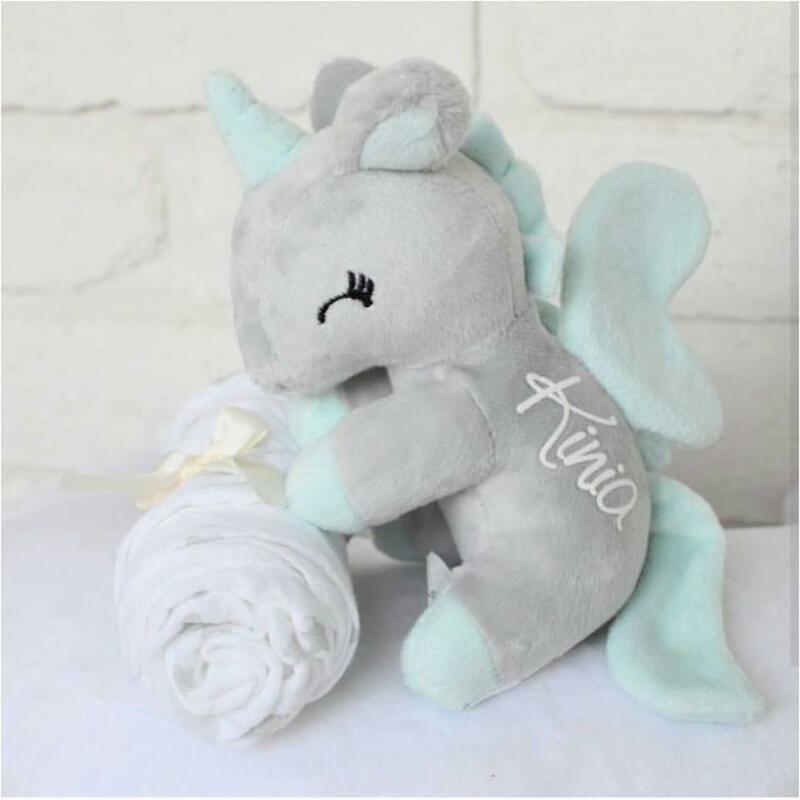 Beautiful mini unicorn with cotton cloth will be a great baby shower, birthday or Christmas gift. 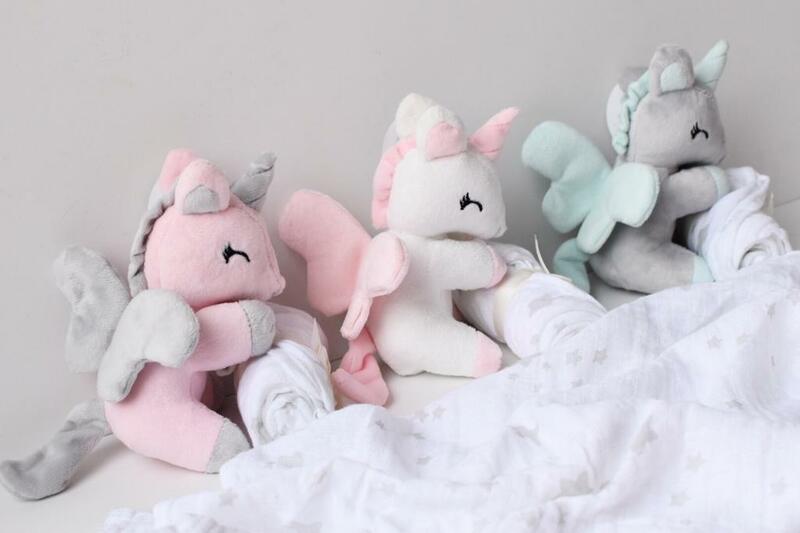 Unicorns are available in 3 colours: grey, white and pink. 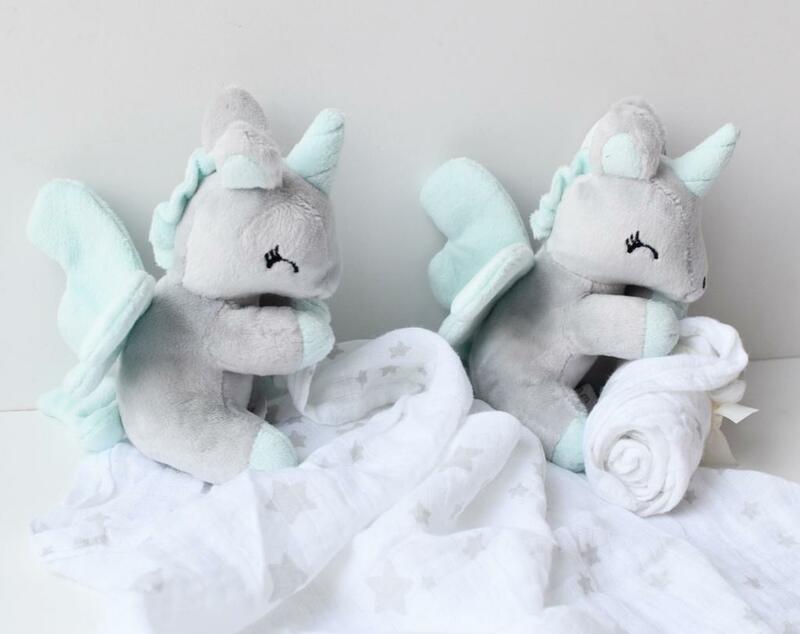 All unicorns can be personalised. 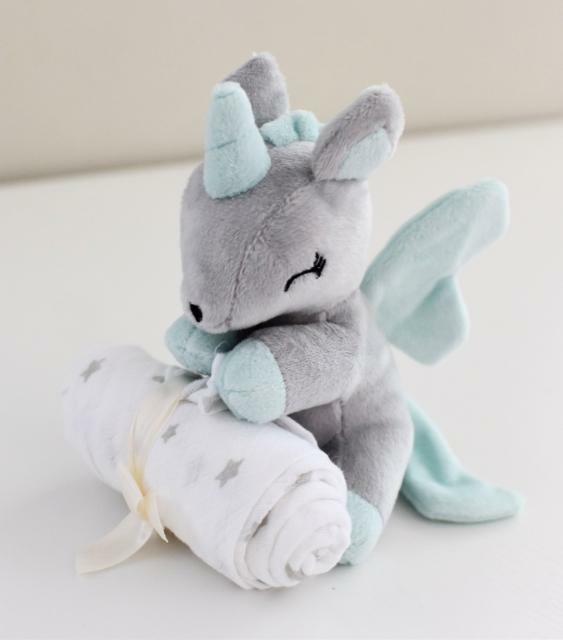 Please add the personalisation option to your cart (Add your baby's name-personalisation in Soft and cuddly category). 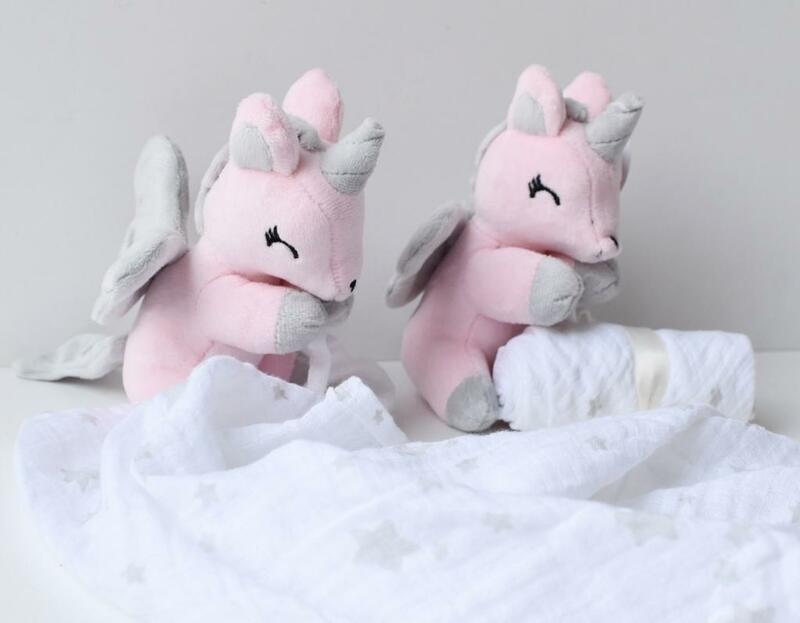 Mini unicorns are personalised on the side (see picture). Please do not leave your child unattended with this toy. There is a danger that child can wrap the cotton cloth around its neck.